for $1,299,000 with 5 bedrooms and 3 full baths. This 3,396 square foot home was built in 1974 on a lot size of 0.83 Acre(s). NEWLY PRICED-GREAT VALUE! 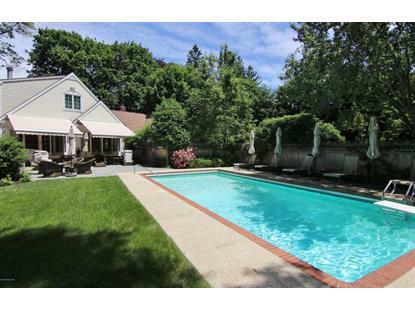 on 0.83-acres complete w/pool, in Stamford's gracious Shippan-water community. 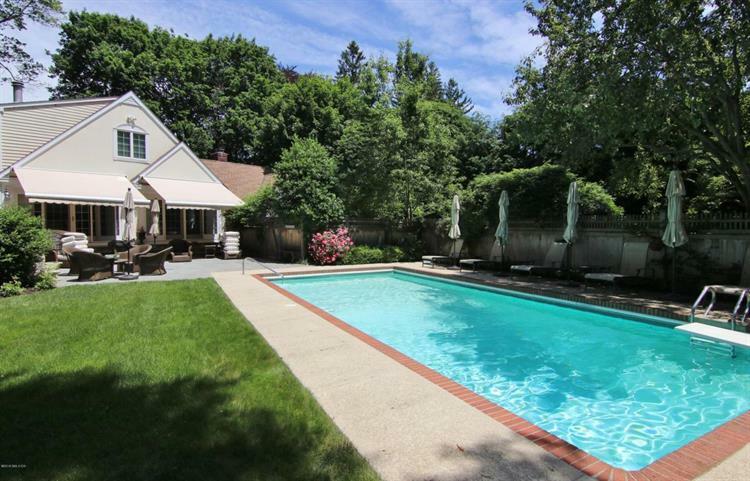 Refreshing pool, lush lawn, grand new stone patios embraced by stonewalls & area shaded w/remote controlled awning create a haven for family & friends. The inviting interior has wonderful flow, where rooms are wrapped in sliding glass that opens to the patios. Marble & granite designer EIK is open to the family rm & the dining rm that flows off the LRimagine the parties & holidays! Vltd, beamed entry/music rm has one of 3-fpls; there's 1 in the Mstr suite & another in upper media / billiards rm. Main flr even boasts a guest BR+full bath. Fin LL playrm, Hdwds, fine millwork, furniture quality outfitted closets, generator, sprinkler, audio and c/air & vac systems complete the splendor.